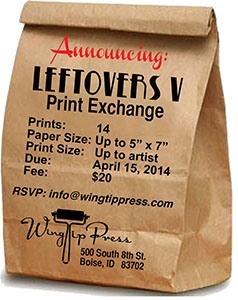 Today is the last day to submit work for the Wingtip Press Leftovers Print Exchange. I’ve only participated once before, but it was such a cool thang — you get 12 different original prints by other artists in exchange — that I’ve been meaning to repeat it, and I actually managed to get my act together this year! 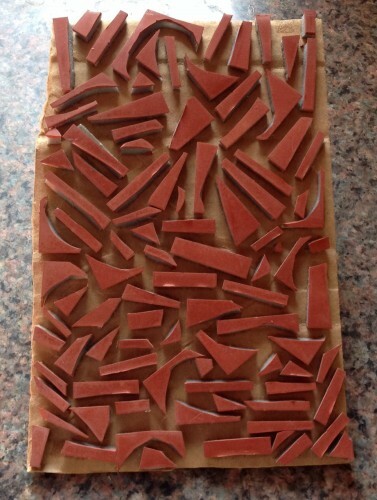 In keeping with the idea of leftovers, my block is made of cut scraps of adhesive backed rubber from some long forgotten project which I stuck randomly onto a piece of cardboard, instead of just throwing them away. 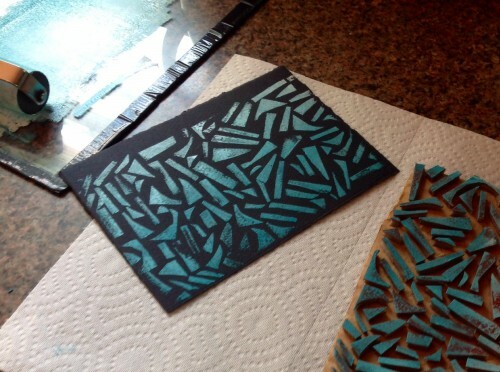 The paper I used is black printmaking paper which I’ve also had hanging around for quite some time just waiting for a project like this to come along. 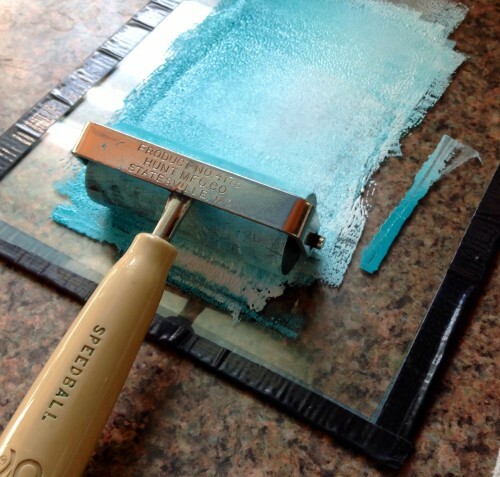 Mike let me borrow his ink, brayer, and method — which I have carefully observed over 27 years of watching him create our Christmas card each year. 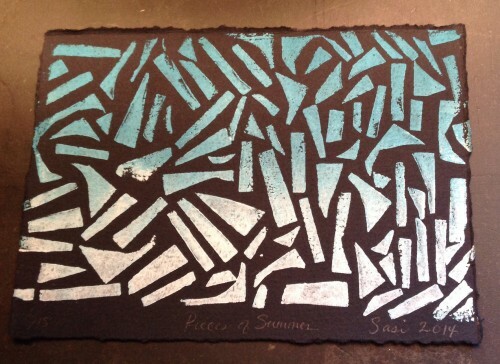 First you ink the block with the brayer. 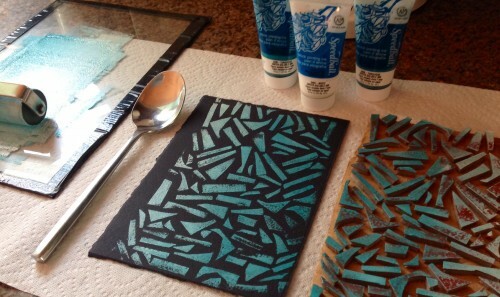 Then you lay the paper on the inked block and rub the paper evenly all over with the back of a spoon. 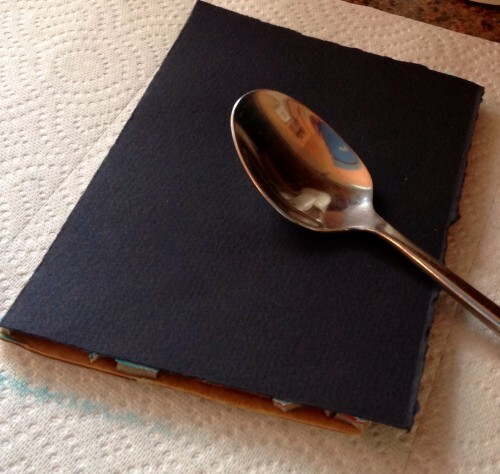 And finally, you pull the print. 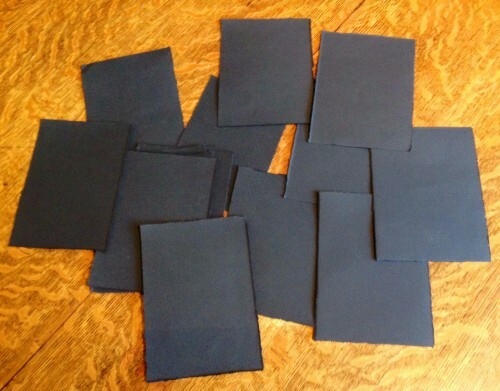 I made 18 prints in all. 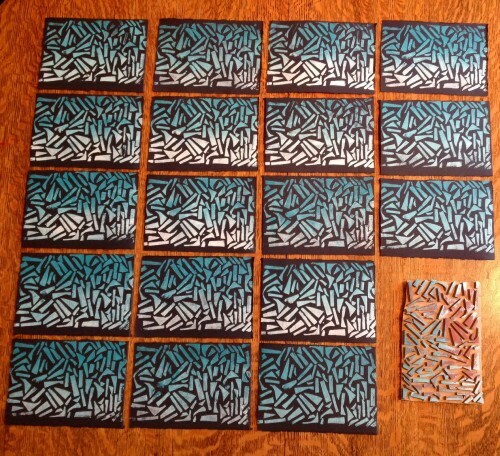 14 go to the Leftovers Print Exchange.